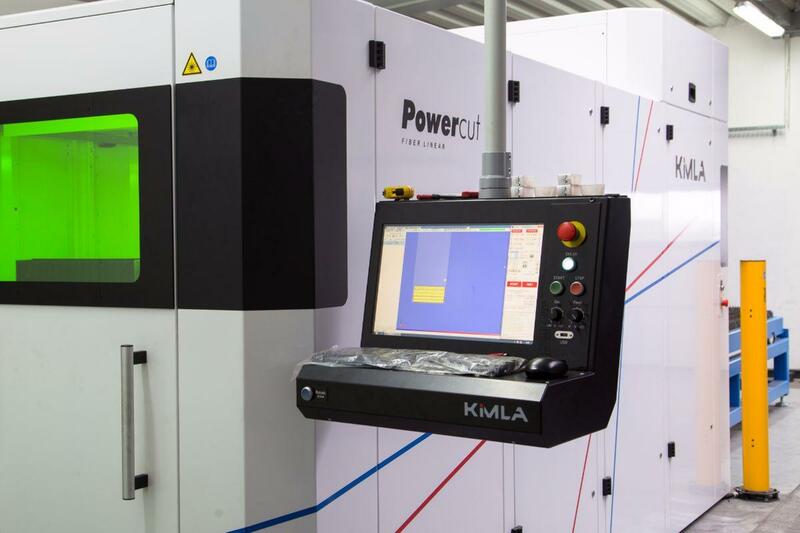 We offer laser cutting using the cutting-edge KIMLA laser cutter from the PowerCut series. The machine provides the workspace of 1500×3000 mm with linear drives enabling fast and efficient cutting of any shapes from the metal sheet. The laser cutting services we offer are characterised by high productivity and precision quality of edges with minimum times of firing. The construction of the cutting machine allows for extremely high cutting precision of +/- 0.05 mm with perfect repeatability, and the use of the state-of-the-art technologies allows for cutting complex and irregular shapes in accordance with individual customer requirements. Maximum thickness of each material: structural steel (15 mm), stainless steel (8 mm), aluminium (8 mm).